Search Engine Optimization involves a mix of different strategies including on-page optimization, keyword optimization, off-page work including directory submissions and backlinking. Well, there’s a new puzzle piece in the SEO mix – the Google +1 button! Google has officially stated that the +1 button will indeed affect search engine ranking. This is ground breaking news as it will ultimately shape traffic; with all the hype there is about social search, a few key points should be considered, as they help put things in perspective. You must be logged-in to Google in order to see socially influenced results. If you don’t have an extensive Gmail or Google+ profile, you may not see any socially influenced results. Latest estimates put Google+ users at 40M and Gmail’s user-base has been estimated at 193M as of 2010. Although, the above stats are not specific to North America, it’s safe to assume that a large number of North America’s 270M+ person internet population are on Gmail and/or Google+. So then how will the +1 button affect search engine results? When you +1 a site you are in effect recommending it to those in your social circle. So if I +1’d a sushi restaurant in Toronto, and one of my Google+ or Gmail contacts searched for “Sushi in Toronto,” a site with the +1 might appear higher in search results than it would have otherwise! So it’s easy to see how having a lot of +1’s can boost your organic search rankings to specific networks of people. 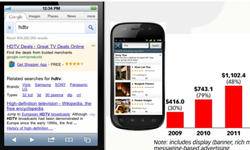 Take a look at the search result below to see how +1 can influence your site. How Can You Get +1’s? Put the +1 on every page of your site. Contact us if you need this done. Post on Google Plus, people can plus one your page right from their news feed. Rank high organically and in paid search, the +1 button appears in search results and the better you rank the more +1’s you’ll get. Send out a newsletter telling people that you’ve installed the +1 button on your page and that you’d appreciate it if they +1’d you. Ask people on other social networks like Facebook and Twitter to visit your page and +1. People will also be able to +1 your page by clicking on a +1 button from their browser toolbar, but they’ll need an extension like the one for the Chrome browser. You’re not allowed to offer anything in exchange for a +1; Unlike Facebook which allows you to offer coupons and other incentives for liking a page. You can’t buy +1’s Google won’t tolerate and has revoked those who have sold +1’s. The +1 button is essentially a vote for your page, every time you vote your recommendation can be echoed across your Google-based social network (Google+, Gmaill, Google account). So if you haven’t already +1’d your own site do so from Google Search and be sure to add the +1 button to your own site! It is an extra step to take, but I find it has helped boost ratings. this is a fast moving business and you have to use every advantage available to you. I don’t know if its worth the hassle, but I will definitely give it a go.. 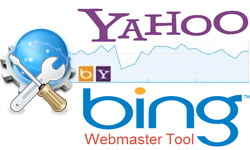 I also would like to know do 1+ have more impact as backlinks than lets say Twiter ? I’m sure they will as the network becomes for prevalent. You can see people in your circles and the number of 1+’s in Google search results now, so I’m sure as more people start the use the platform the more dominance they will have. I was wondering whether you think Google+ is more important than Twitter or Facebook search engine rankings and results? I generally use Twitter more than Google+ or Facebook. Google+ is becoming a more prominent social signal for ranking, especially if you mostly use Google to conduct searches. Nonetheless, I have notice a lot of Twitter results appearing one the first page when searching for company information. I think Facebook has the least effective of rankings, I rarely see it on the first page if at all. 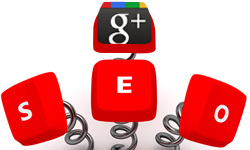 As Google+ becomes more popular, I’m sure it will have a greater effect on rankings! Absolutely, once one person +1’s a post it will feature higher in the search results of their network! So you say you have to be logged in to Google in order to see the socially influenced results, but my question is, does Google’s plus ones affect the overall search result rankings (whether logged in or not)? That’s a very good question and only Google really knows the answer; but if we were to think of +1’s like a backlink, then they certainly would affect rankings across the board.